Adobe Photoshop Mix makes it quick and easy to cut out, combine and seamlessly blend pictures to create sophisticated composite images. 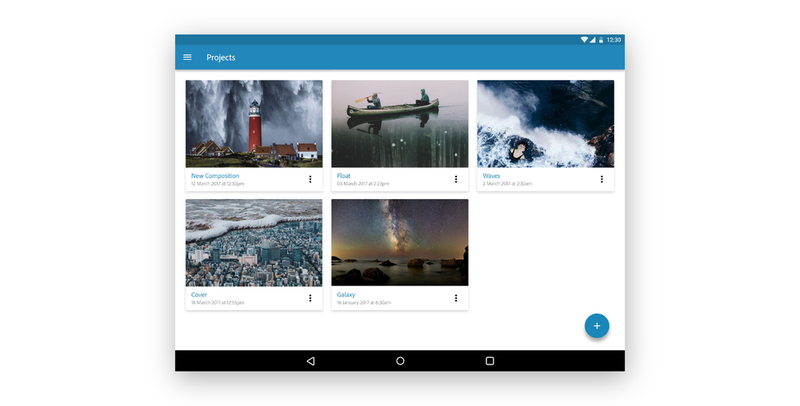 The tools provide various editing functions and possibilities to help users create compositions on the go. The project outlined to ready the app for it’s Android version 2. 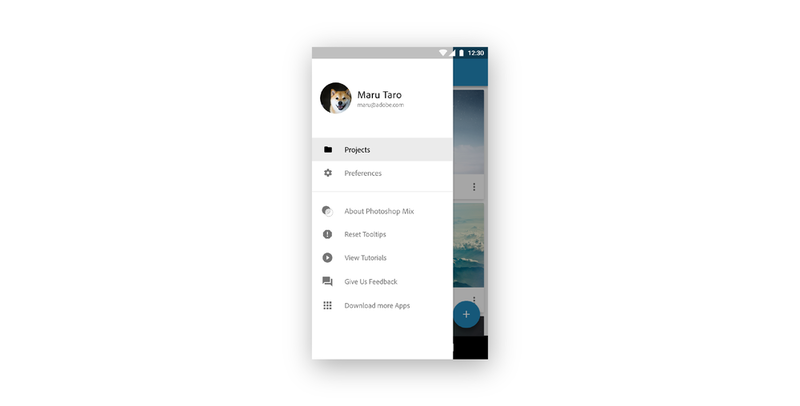 The app needed to be redesigned to be more in line with Google’s material design and be scalable to increase it’s device footrint. Mix on Android has crossed a million downloads. 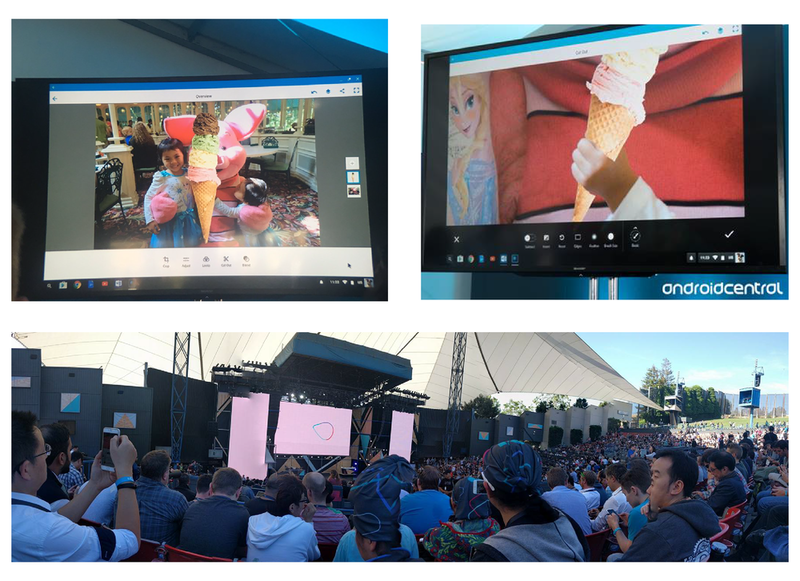 The App was showcased at Google I/O 2016. I worked with the team to better understand possibilities of material design application, while making sure the process is efficient and stays within the parameters. The redesign consisted of an updated navigation drawer. New material icons and better spacing and a new layer management module. The intention was to make the app as consistent as possible with other updated Android apps. 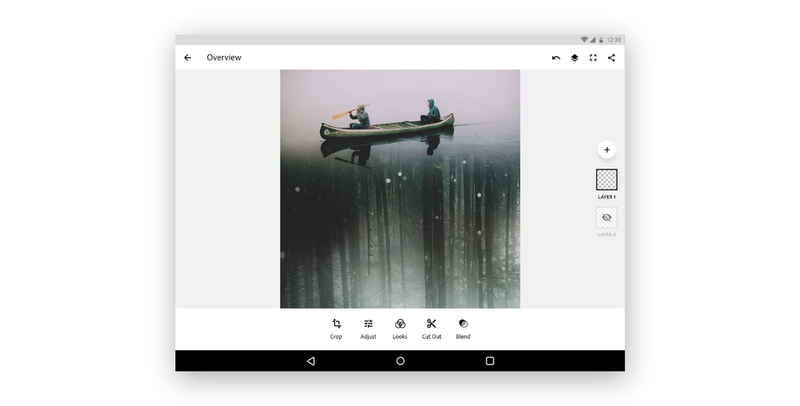 The app had to be reworked with Google’s motion principles, layouts and the foundational elements of print-based design – typography, grids, space, scale, color, and use of imagery.